…and a Lot of Walking. In only a single week, I feel like we saw everything an average tourist in Tokyo would see in a month: the Yasukuni Shrine and Museum, the Imperial Palace, the Edo-Tokyo Museum, and Asakusa… wow! So allow me to take the next few minutes to break down every moment. (But before I officially begin:) Tuesday after class, a group of us had lunch at Go! Go! Curry! 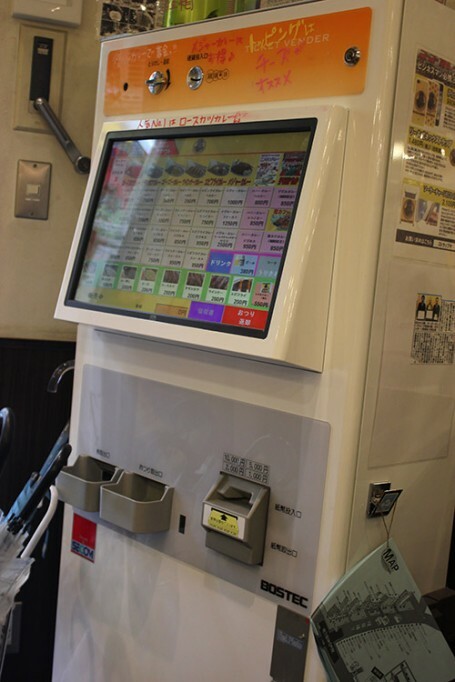 (ゴーゴーカレー), and I ordered from a machine for the first time. The efficiency looms high in this nation. Who needs pen and paper when there’s touchscreen? During the lecture that day we briefly touched on the Tokyo Trials that tried various war criminals, including military officers and political officials, which meant we also mentioned the controversies of the Yasukuni Shrine, where they’ve enshrined the spirits of those leaders who died, that is, the war criminals. 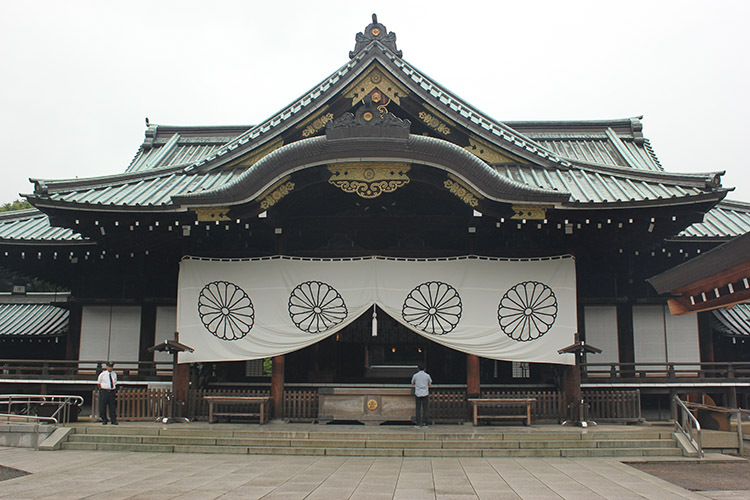 The weather had been really gloomy that day with sporadic showers, so visiting the Yasukuni Shrine felt more solemn than I think it would normally seem. There is a museum adjacent to the shrine that exhibits and honors those who fought in WWII. Looking at the torpedoes and kamikaze planes, and seeing actual letters and cards sent by the pilots to their families reminded me of my IB history class days during high school. 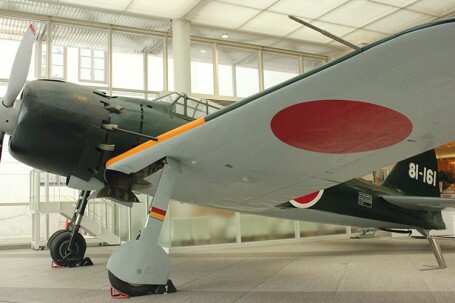 I thought back to the essay I wrote on the trial of General Yamashita and my presentation on the kamikaze pilots. That day I was finally able to place faces on those assignments, and I felt my heart really sink in the museum. I wondered if there could be any way I could truly understand the Japanese position of creating an entire museum full of such tragic history and stories. Specifically, the photograph reflects a modernized and largely Westernized nation that retains its traditions not in a dusty corner, but right alongside its modernization. 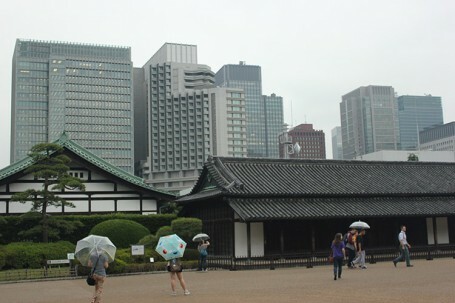 But mostly I took pictures of flora and all the glories of the Imperial Palace Garden. It was surprisingly relaxing in spite of all the walking. The following day we visited the Edo-Tokyo museum, which was definitely much more light-hearted than the Yasukuni Shrine museum because of its interactive displays and exhibits; moreover, we were allowed to take photographs of basically everything in the museum. The Edo Period is very interesting. I find the art somewhat unusual but strangely beautiful nonetheless. In particular, the details of the drawings and prints are wonderfully amazing to behold, despite the sometimes odd depictions of facial features and expressions. The museum itself is HUGE, and its size allows for full-scale infrastructure replicas to be used in a number of exhibits, such as a (fully functional) kabuki theater that greets you as you first enter the museum. It was unfortunate that no performances were scheduled on the day we went. 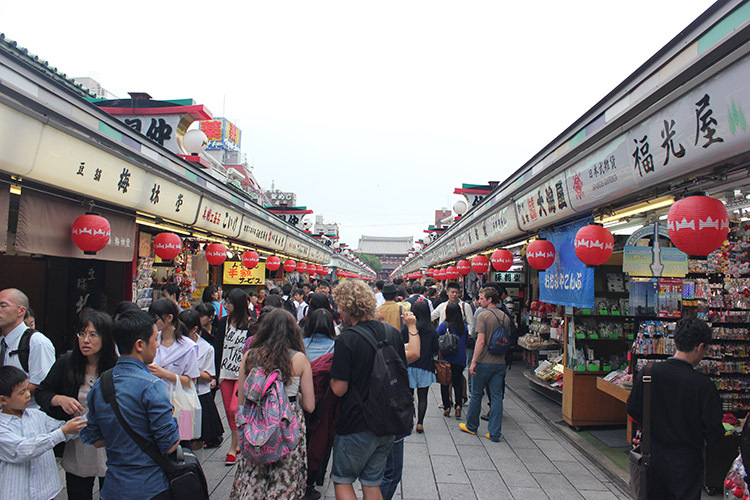 The final stop on our tour itinerary was Asakusa and Kaminari-mon (Thunder Gate), at which we took a group photo. Just past the gate is a long, crowded street of souvenir shops. 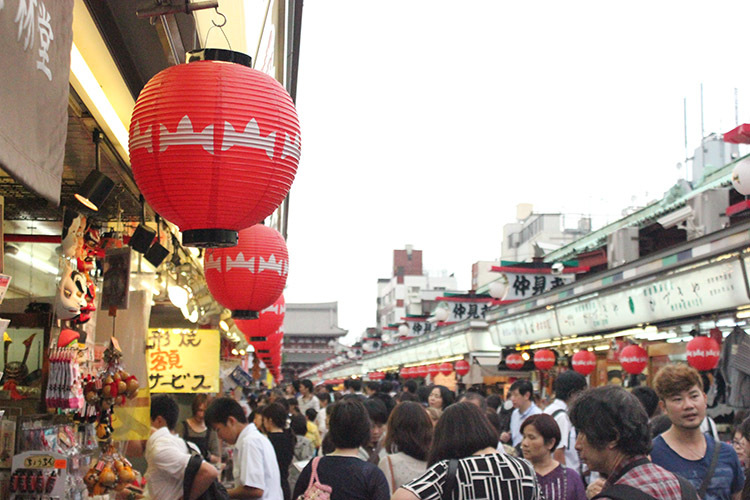 It felt more like a giant festival with shops that sold a variety of little trinkets and foods. I probably missed out on a lot of other things by looking through literally every single one of the tents. THE PEOPLE. SO MANY PEOPLE. 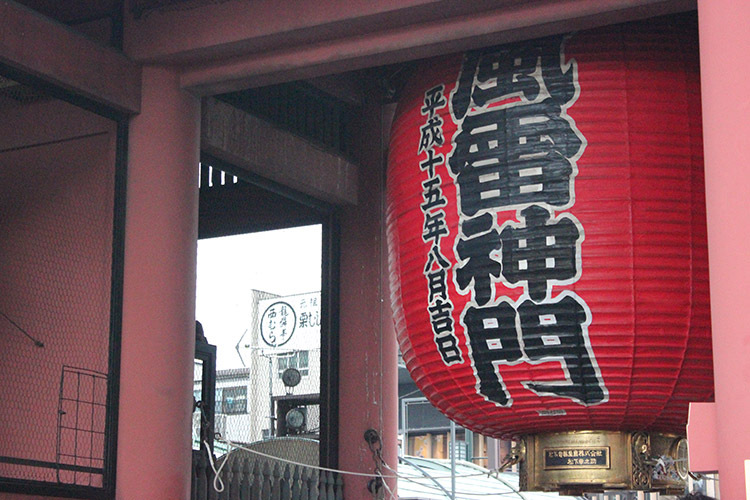 No lack of artsy photo opportunities in Asakusa. Welcome to Japan! 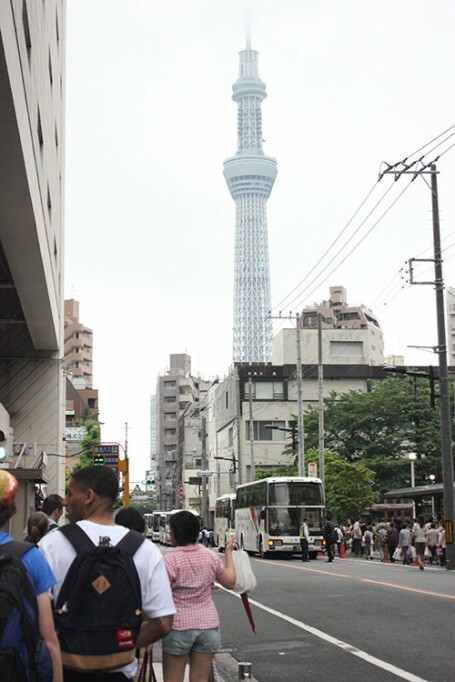 Asakusa is also where the new Tokyo SkyTree is located, but unfortunately we were unable to see the full extent of its height due to the overcast weather. But even with the top not visible, the SkyTree’s overwhelming size was nonetheless breathtaking. It is hard to imagine the plethora of events we still have lined up for the remainder of this trip. It’s already been such an experience, so exciting and inspiring, and (of course) educational! It’s definitely a different way of looking at Japan, that is, as both a student and a tourist, and I’m excited to know that there is still much, much more to come!